1. Петровский БВ, Константинов БА, Нечаенко МА. Первичные опухоли сердца. М.: Медицина, 1997. 152. Petrovsky BV, Konstantinov BA, Nechaenko MA. Primary tumors of the heart. M.: Medicine, 1997. 152. 2. Цукерман ГИ, Малашенков АИ, Кавсадзе ВЭ. Опухоли сердца (клиника, диагностика и результаты хирургического лечения). М.: НЦССХ им. А.Н. Бакулева РАМН, 1999. 269. Zuckerman I, Malashenkov AI, Kavsadze VE. Tumors of the heart (clinic, diagnosis and results of surgical treatment). M.: Publishing house of the A.N. Bakulev of the Russian Academy of medical Sciences, 1999. 269. 3. Бокерия ЛА, Малашенков АИ, Кавсадзе ВЭ, Се­ров РА. Кардиоонкология. М.: НЦССХ им. А.Н. Бакулева РАМН, 2003. 254. Bockeria LA, Malashenko AI, Kavsadze VE, Serov RA. Cardioonkology. M.: Publishing house of the A.N. 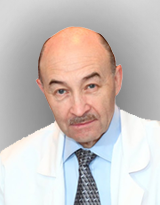 Bakulev of the Russian Academy of medical Sciences, 2003. 254. 4. Бокерия ЛА, Серов РА, Кавсадзе ВЭ. Морфология опухолей сердца: Атлас. М.: НЦССХ им. А.Н. Бакулева РАМН, 2010. 506. Bockeria LA, Serov RA, Kavsadze VE. The Morphology of cardiac tumors: Atlas. M.: Publishing house of the A.N. Bakulev of the Russian Academy of medical Sciences, 2010. 506. 5. Lasam G, Ramirez R. Concomitant Left Atrial Myxoma and Patent Foramen Ovale: Is It an Evolutional Synergy for a Cerebrovascular Event? Cardiol. Res. 2017 Feb; 8 (1): 26–29. doi: 10.14740/cr522w. 6. Li H, Guo H, Xiong H et al. Clinical features and surgical results of right atrial myxoma. J. Card. Surg. 2016; 31 (1): 15–17. doi: 10.1111/jocs.12663. 7. Ermek T, Aybek N, Zhang WM, Guo YZ, Guo S, Mamataly A, Chang DQ et al. A rare case of biventricular myxoma. J. Cardiothorac. Surg. 2017 Mar 27; 12 (1): 17. doi: 10.1186/s13019-017-0584-6. 9. Smith M, Chaudhry MA, Lozano P, Humphrey MB. Cardiac myxoma induced paraneoplastic syndromes: a review of the literature. Eur. J. Intern. Med. 2012; 23: 669–673. 10. Motwani M, Kidambi A, Herzog BA, Uddin A, Greenwood JP, Plein S. MR imaging of cardiac tumors and masses: a review of methods and clinical applications. Radiology. 2013; 268: 26–43. 11. He DK, Zhang YF, Liang Y et al. Risk factors for embolism in cardiac myxoma: A retrospective analysis. Med. Sci. Monit. 2015; 21: 1146–1154. 12. Babs Animashaun I, Akinseye OA, Akinseye LI, Akinboboye OO. Right Atrial Myxoma and Syncope. Am. J. Case Rep. 2015 Sep 21; 16: 645–647. doi: 10.12659/AJCR.894513.